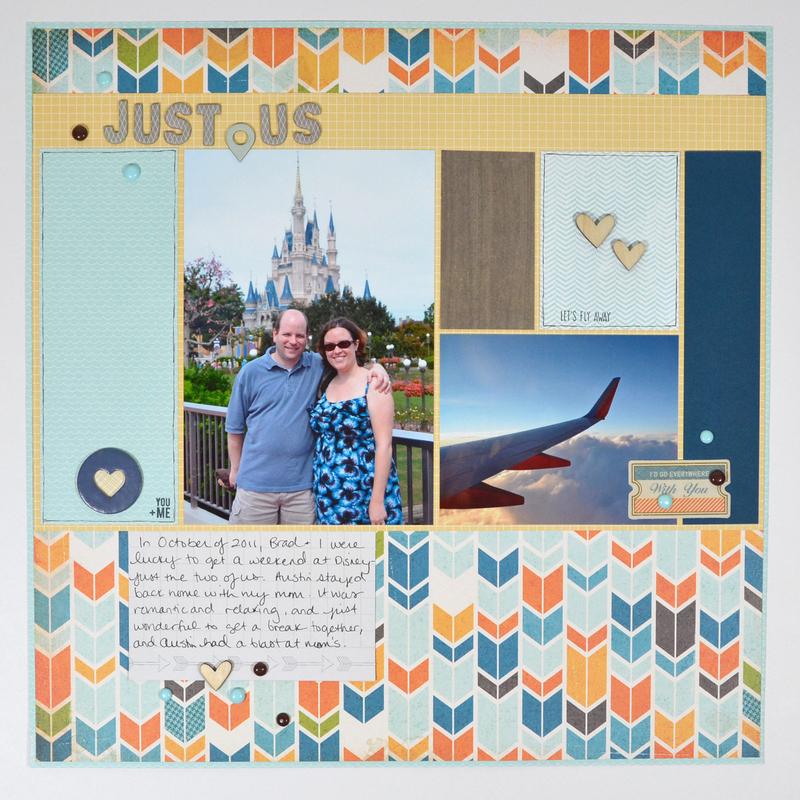 It had been awhile since I had a chance to work on a physical scrapbook page. Since I still haven't really documented the trip Brad and I took alone to Disney back in 2011, I thought I would make a layout using a couple of photos from that trip. I did this one over a few nights, due to time constraints, but in the end I love how it came together. I like to embellish, but I do not like to overdo it with embellishments - it's just not my style. I think this one has just the right amount. 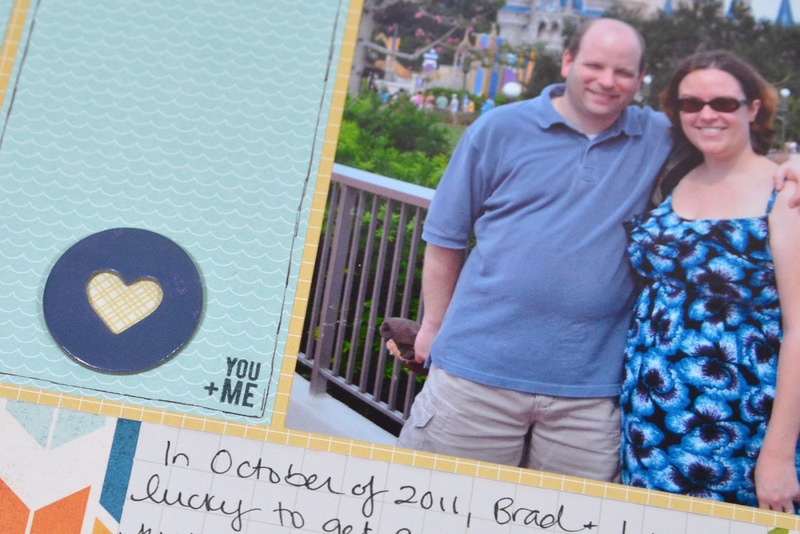 My papers are from Echo Park's Lori Whitlock All About A Boy (chevron), Stampin' Up! 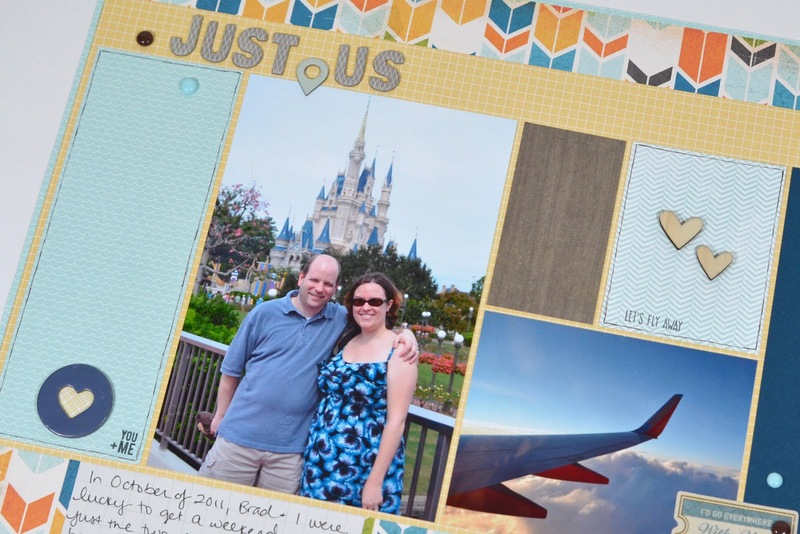 's I Am Me (the two aqua patterned papers and the yellow patterned paper), Crate Paper (the brown), and Stampin' Up! 's Midnight Muse (blue card stock). For the thin border background paper, I actually cut the center out so that I didn't waste the entire sheet to just show a tiny bit. This allowed me to use more of it on the front of the page. 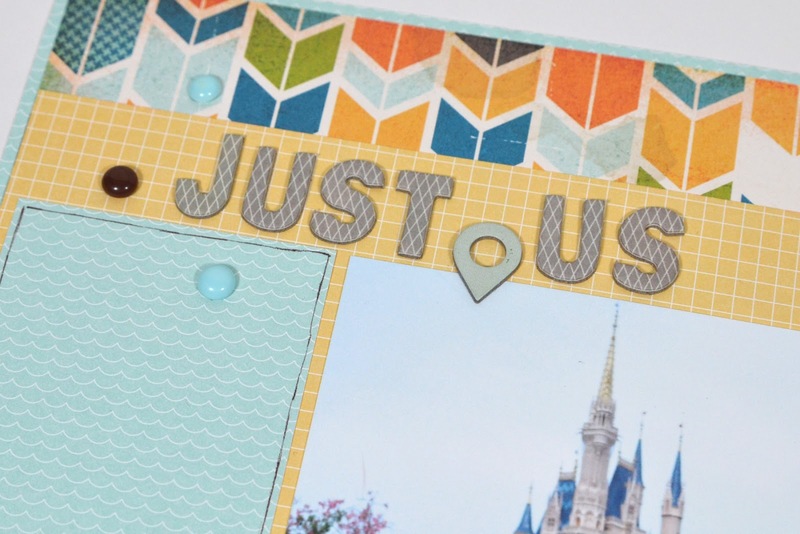 For my title, I used some chipboard thickers from BasicGrey that I had received in some Studio Calico grab bags awhile back. I added a chipboard geotag (also from Studio Calico) and some of my homemade enamel dots to finish it off. 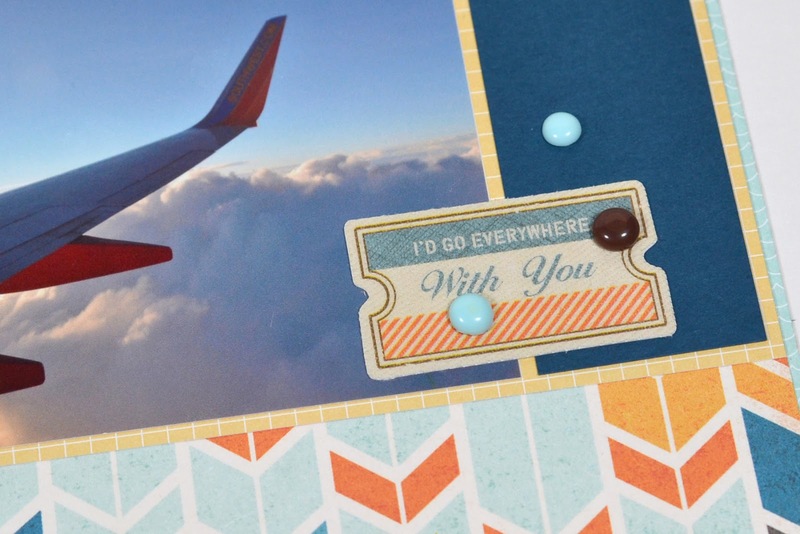 I have a few stickers remaining in a package from Amy Tangerine, and this one that says "I'd go everywhere with you" seemed perfect. I added more enamel dots here too. 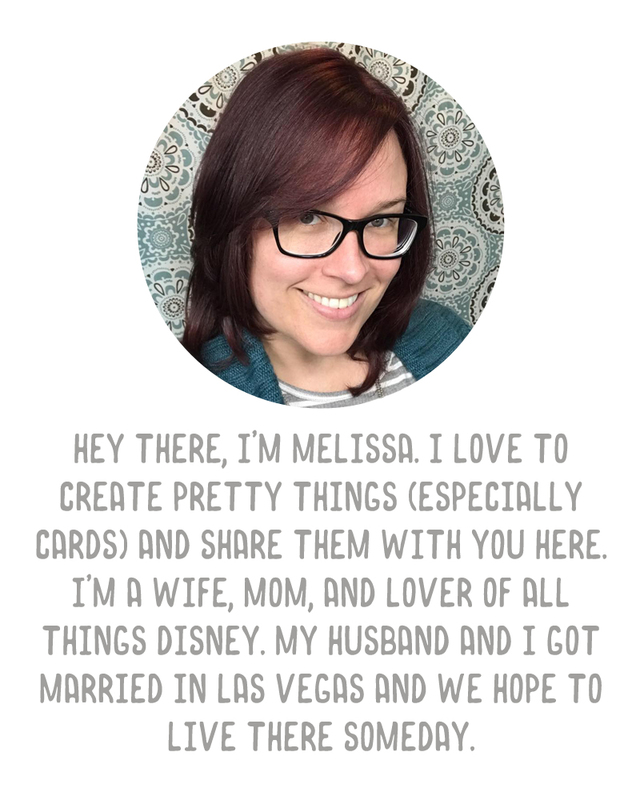 For journaling, I added a card from the Amy Tangerine Cut & Paste Project Life mini kit, but I cut off the edging so that I could have square corners to match the main area of my page. 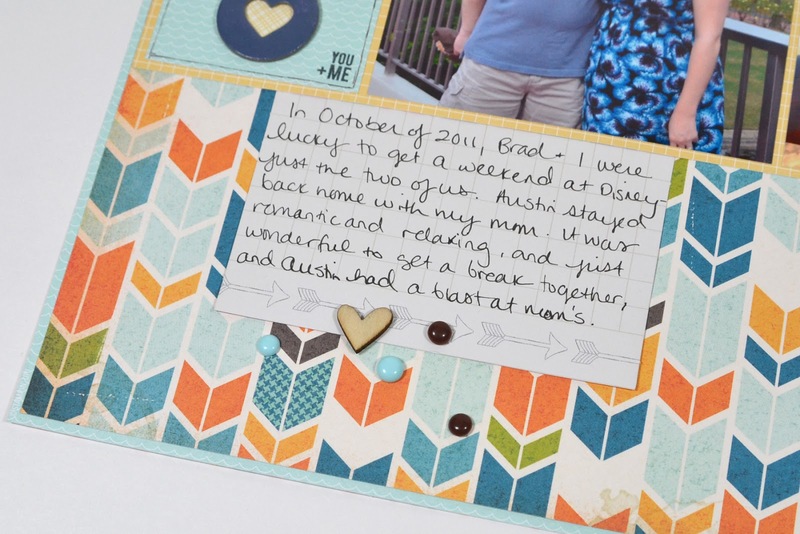 I added a wood heart from Studio Calico and more enamel dots once I'd finished my journaling. I wanted to add some stamping to my page, so I used a stamp from the Studio Calico Blinks of Life Today Noted stamp set to the corner of one of the blocks of patterned paper on my layout. I also hand drew some lines around the edges of this block as well as the other lighter patterned block (photo below). I added a chipboard heart from a Dear Lizzy chipboard embellishment set, with some paper cut from another card from the AT Cut & Paste kit behind the open heart. More stamping here - this is from a Dear Lizzy roller stamp. 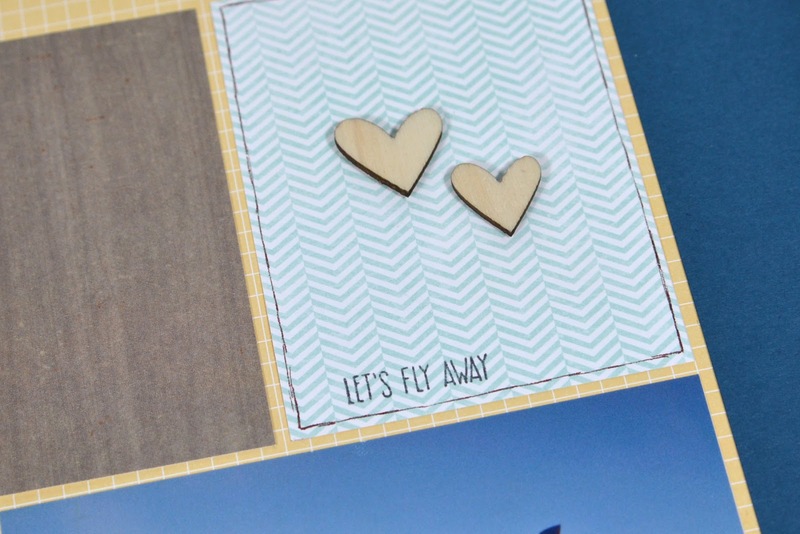 And then two more of the Studio Calico wood hearts. It was fun to play again, hopefully I'll have more time soon. (I keep saying this but it doesn't seem to be happening). Thank you so much! I am very, very lucky that I have a mom who lives close by and adores her grandson so much that she will watch him almost any time, any day, even overnight. She's very happy to watch him while we go on vacation too, so that is just amazing. I think some of it is because her parents were the same way - watching my sister and I and taking us on vacations with them when we were little. I know it's not always so easy for everyone else, and I appreciate it greatly!